Do your children ask that fascinating question “WHY” at least 20 times a day? It’s a great word to a child who is interested in learning so much about life! I remember my daughter asking that question over and over, seemed like she’d never be happy with the answer I was giving her! LOL Sometimes the smartest parents and grandparents can be stumped by the questions of “Why”. Wildlife expert Jack Hanna is offering the answers to all animal-related questions in his new book, Jack Hanna’s Big Book of Why. Jack Hanna’s Big Book of Why will take kids and adults on a journey through the animal kingdom. The 176-page, hardcover children’s book is organized by habitat—deserts, grasslands, forests, rain-forests, the ocean and poles—and in addition to answering the critter questions children love to ask, it features close-up color photographs, illustrations and amazing facts and quizzes about creatures from around the world. This is an awesome book! I agreed to review it because I wanted it to be easy to teach my granddaughter about animal life and facts! The book is formatted so its not overwhelming and it is full of real life pictures of animals. There are questions asked and then the answers, quizzes, fast facts and so much information jam packed. For curious kids whether they are big animal lovers or not, this book is sure to get kids interested. I even find myself browsing the book and there is so much I have learned from it! Retailing for $19.99, Jack Hanna’s Big Book of Why is published by Media Lab Books. 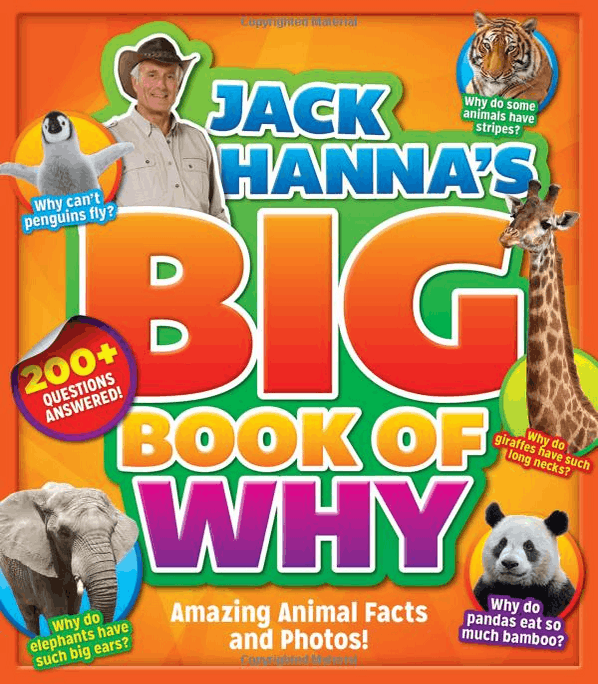 Check out Jack Hanna’s Big Book of Why on Amazon or look for it for wherever books are sold.